Led by former NBA player AndrayBlatche, the 2016 Gilas Pilipinas pool is composed of Terrence Romeo, Jeff Chan, Jayson Castro, Gabe Norwood, Ranidel De Ocampo, June Mar Fajardo, Marc Pingris, Japeth Aguilar, Ray Parks, Ryan Reyes and Troy Rosario. 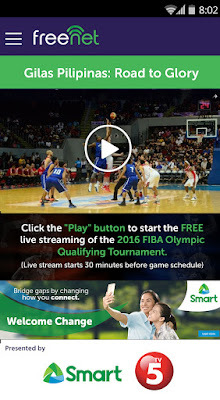 So make sure to be part of Philippine sports history and download the freenet app for your Android (http://szn.ph/downloadandroid) or the SafeZone app for iOS (http://szn.ph/downloadios) devices today. 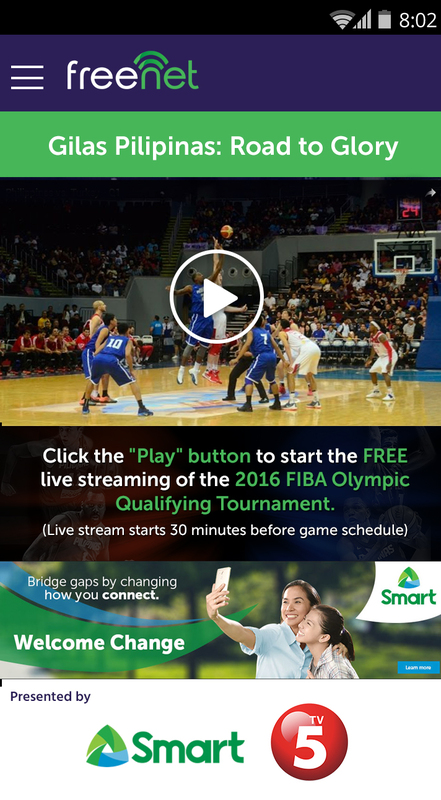 For more information, visit http://www.freenet.ph/labanpilipinas or like the freenet page on Facebook.